How Destination Marketing Organizations Stay Relevant in 2018 | Noble Studios, Inc. The competition continues to evolve for destination marketers. While destinations still must look to their competition in the form of other cities, regions and states, there are pressing challenges from for-profit companies. These include Facebook Google, Airbnb and hotel chains who are launching competitive products focused on the roles typically played by convention and visitors bureaus. A recent trip to the 2018 DMA West tech summit reinforced what we see in many of our clients. During conversations at cocktail receptions, educational sessions and at our booth, we heard many of the same stories. Marketers are overwhelmed, exhausted and struggling to prioritize the work in front of them. The old ways of measuring success are showing their age. They are not as relevant when consumers have changed the way they discover, shop, purchase and share their travel experiences. The destinations that are overperforming or beating the competition have prioritized their efforts in the channels and stages of the travel journey they have the best chance of owning. A widely accepted model shows travelers typically follow a similar process in their travel journey. With the competition so strong in the booking stage, Noble Studios encourages destinations to truly own the dreaming and planning stages of the journey. Owned properties and strategies on your social platforms need to prioritize this work while you watch closely how the other stages play out. The problem is now many booking platforms realize producing competing content focused on these parts of the journey can lead to better monetization. With competition coming from so many angles, we believe DMOs are in the best position to own their brands. No one else will convey it as effectively. A DMO’s goal is to inspire and inform. If you do that, the bookings will follow. For-profit entities are under different pressures. They will sacrifice user experience and storytelling when a sale is possible. This will turn off many consumers. As a result, there is still a gap to fill and one that makes a dramatic difference for capturing a larger share of the wallet from your visitors. So here are three major trends we think you should be watching in 2018 after assessing DMA West. Google realizes that consumers want instant access to information. To maximize user experience search engine results page (SERP) is becoming a veritable smorgasbord of rich information. The impact is that users are now finding information they want without having to click into a listing. According to Wordstream, the median click-through-rate for organic search results is down a whopping 37 percent over the last two years. That is a staggering shift in how marketers need to gauge their content development success. Google is opening or promoting to destinations the ability to create posts under the knowledge panel in SERP results. Google Posts is a feature that allows destinations to share content directly from their Google My Business profile. This feature was utilized by museums, sports franchises, and attractions in the past. The posts can contain unique links and calls to action for consumers to learn more. Destinations also could create posts that are related to events. Events are always one of the biggest drivers for destination visitation. 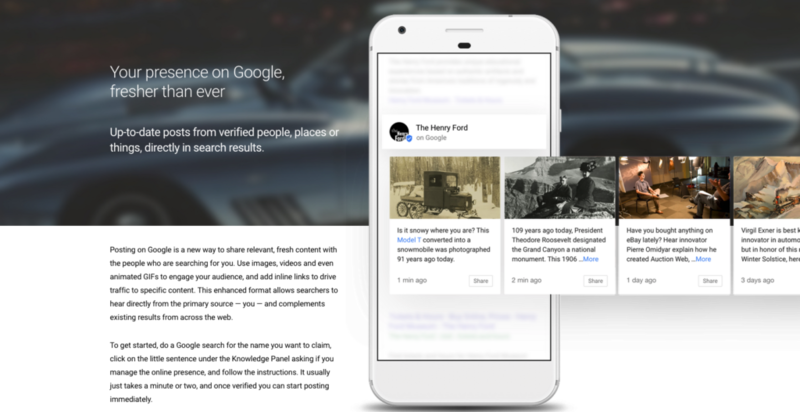 If you decide to use Google posts frequently, you can have multiple posts in the Knowledge Panel at the same time. However, only the first two are visible without navigating within the SERP. It is unclear how these posts will have an impact on overall SEO efforts. Very similar to how Google+ still plays some mythical role in rankings, though just how much only Google knows. We are encouraging clients to claim the correct listing on behalf of the city or region their destination represents. You can reach out to if you would like some assistance on how to do this correctly. Here is the takeaway: If you can’t beat ‘em, then join ‘em. Google knows what consumers want. Getting on this early will allow destinations to ensure the right message is reaching consumers. Just like with quick answers Google will reward those who contribute valuable content for their users. This does not replace the role your own website plays for updates and events. Simply look at this as another channel to place relevant inspirational and planning content. Chatbots are no longer something that can be ignored. Consumers are telling us all how they want to communicate with their favorite business. Often, they want to use text message, chat and instant messaging services. Historically, the cost for developing artificial intelligence often put development of chatbots out of reach. However, the technology is getting easier to implement and less expensive. In a matter of days, a capable programmer can leverage a chatbot platform to allow users to ask basic questions to which the bot can reply with appropriate information. This information should be tied to the content that already exists on your destination website. Consumers are also receptive to the technology. A recent HubSpot study showed 55 percent of consumers are interested in interacting with a business using messaging apps to solve a problem. This is the perfect use case for tourism entities. If your website has a Q&A section, this is great content to start from. This cannot replace in any way shape or form your website, your paid strategy or your SEO efforts. A fitting example of a brilliant utilization of a chatbot is for the Cosmopolitan hotel in Las Vegas. Rose is a chatbot that fully extends the brand of the property. That brand balances a bit of naughtiness combined luxurious accommodations. Answers to even the most basic questions are laced with a bit of sarcasm. This is where destinations can develop a chatbot that embodies the destination brand promise. The top destinations can really own solving the travelers need for information and entertain at the same time. Influencers are being utilized by about a third of the destinations that were at the conference. That is a rather informal poll. The factors driving adoption seem to be the size of the organization’s marketing team. The larger the team the more able the organization can manage and integrate the paid influencer effort. 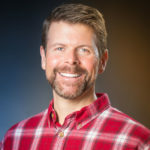 In one informative session, destinations including Visit Spokane and Visit Reno Tahoe discussed lessons learned in the process of working with paid influencers. This was very similar to the way that marketers were advised to work with traditional travel writers. As is often the case, what is old becomes new again. Influencers are just the new breed of journalists who are cutting out the monetization middle man of advertisers and publishers. It’s a brave new world out there for destination marketers. To remain relevant, focus on the aspects of your brand story that you can control. As for contemporary trends, make sure they relate back to your business objectives before hopping on board. These top three trends should make sense for most destinations.